You might be familiar with this plant from home gardens. It is a native wildflower with a spreading habit and long-lasting flowers, so it makes an excellent ground cover in the garden. 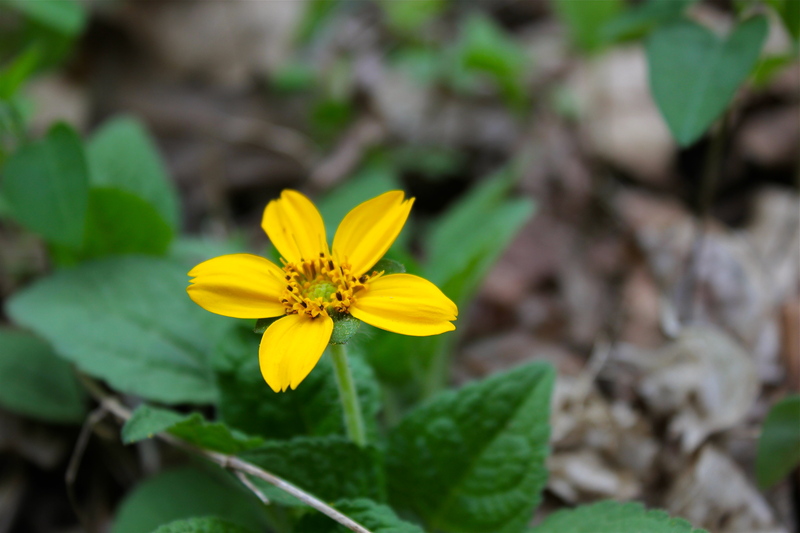 The bright yellow flowers with contrasting brown stamens are held high above the light green, triangular leaves. This plant flowers profusely in spring and fall, giving you one more reason to grow it at home if you don’t already have some. These photos were taken at a couple of my favorite places: along a wooded road in Shawsville, at Falls Ridge Preserve in Ellett Valley, and at Wildwood Park in Radford, Virginia.